Thomas Jefferson and his family were not the only people living at Monticello. At any given time there would be about 100 slaves living and working on the plantation. 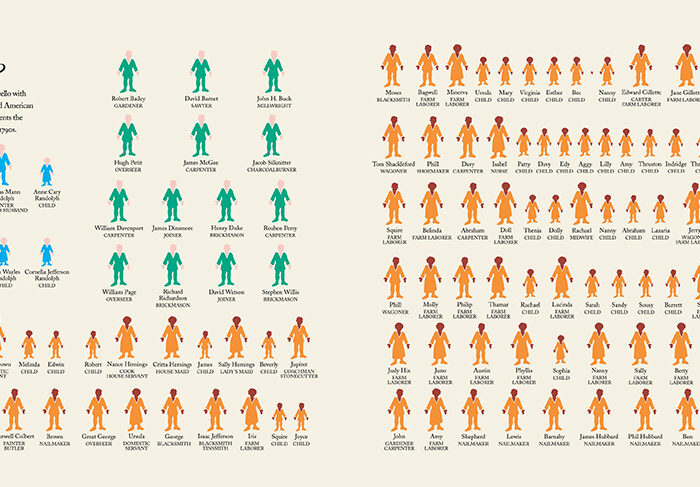 This infograph gives a snapshot of inhabitants of Monticello in the 1790s.